Brand:Mytys Material:Gold/Silver Plated Wearing Occasion: Wedding / Prom / Anniversary / Party Gift for: Girl friend / Wife / Mom Package Included: 1* Ring ,comes with a velet bag Features: 1.Eco-friendly material, nickel free, lead free 2.High quality material with alloy zircon & rose gold plating 3.Make your fashion life happy and beautiful Jewelry Warm tips: 1.Please avoid contacting with the acid and alkali, corrosive substances. 2.Please avoid the collision, so as to avoid surface scratches. 3.Please avoid wearing it when sweating a lot, shower or sleep, etc. 4.Please wipe them with soft cloth when you clean your ring. You can also find other more beautiful jewelry in our store : Earrings, Necklaces, Brooches, Bracelets, Bangles, Jewelry sets etc. Welcome! Q & A: Q:Will your jewelries change color? A:All fashion jewelries will lose color after use. Our jewelry come with the best craft,they can be kept very long time if maintain well. Brand:Mytys Material:Gold/Silver Plated Wearing Occasion: Wedding / Prom / Anniversary / Party Gift for: Girl friend / Wife / Mom Package Included: 1*Ring,comes with a velet bag Features: 1.Eco-friendly material, nickel free, lead free 2.High quality material with alloy zircon & rose gold plating 3.Make your fashion life happy and beautiful Jewelry Warm tips: 1.Please avoid contacting with the acid and alkali, corrosive substances. 2.Please avoid the collision, so as to avoid surface scratches. 3.Please avoid wearing it when sweating a lot, shower or sleep, etc. 4.Please wipe them with soft cloth when you clean your ring. You can also find other more beautiful jewelry in our store : Earrings, Necklaces, Brooches, Bracelets, Bangles, Jewelry sets etc. Welcome! 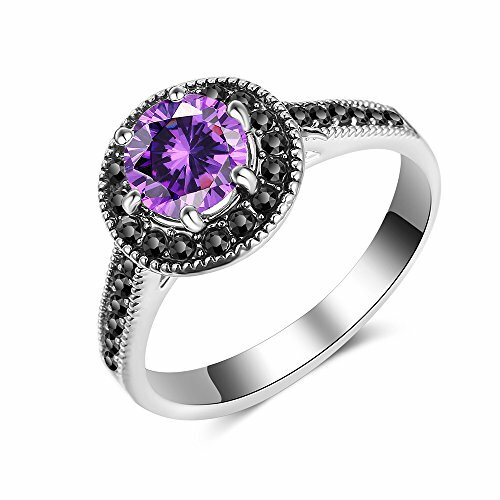 Q & A: Q:Will your jewelries change color? A:All fashion jewelries will lose color after use. 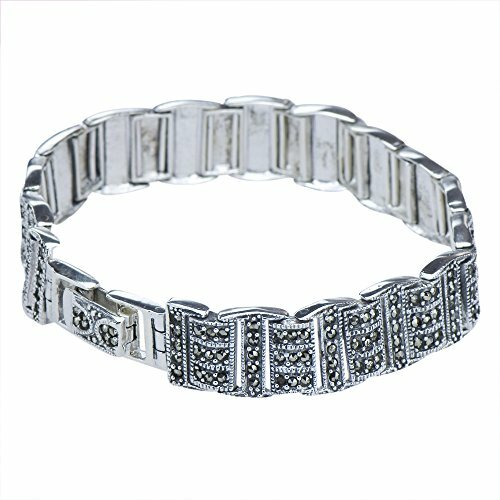 Our jewelry come with the best craft,they can be kept very long time if maintain well. 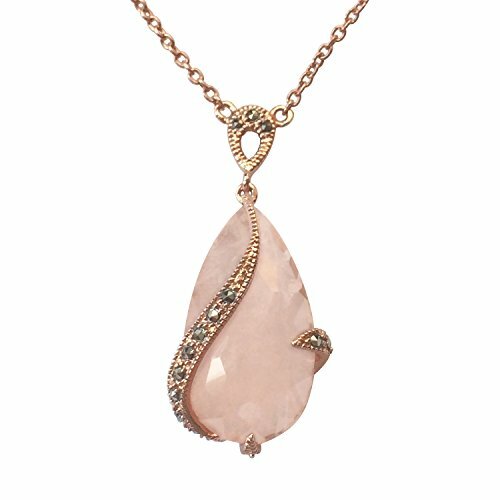 AURA BY TJM 18K ROSE GOLD OVER STERLING SILVER PEAR SHAPE PENDANT SET WITH 10.99 CTW, FANCY CUT ICE ROSE QUARTZ WITH 0.15 CTW ROUND MARCASITE ACCENT, 18"
ICECARATS DESIGNER JEWELRY 925 STERLING SILVER MARCASITE POST STUD EARRINGSMaterial Purity : 925Length : 33 mmMaterial : Sterling SilverWidth : 15 mmProduct Type : JewelryJewelry Type : EarringsSold By Unit : PairMaterial Color : WhiteEarring Closure : Post & Push BackEarring Type : Drop & DangleStone Type (Other) 1 : MarcasiteOUR MISSION & BELIEFSOur mission at IceCarats is to celebrate our customers and enhance their lives journey, honoring life's memorable occasions and enhancing the beauty of everyday through our extensive collection of quality jewelry.THE ICECARATS STORY - CRAFTSMANSHIP...QUALITY...VALUEJewelry is our passion - IceCarats is devoted to craftsmanship, quality, and value. Each piece hand stamped for authenticityMADE WITH LOVE FROM US TO YOU - QUALITY WITHOUT COMPROMISEWhen you purchase jewelry from the IceCarats collection, you buy with confidence - Lifetime Warranty and 30-Day Returns .ELEGANT GIFT PACKAGING - JUST ANOTHER REASON TO SAY YES!Receive Elegant Gift Packing On Every Order with IceCarats! About Caratera Caratera was founded by Carlos Caratera, as the son of a precious stone polisher. Carlos was intrigued by the beauty of the gemstones his father was polishing. From an early age Carlos showed a natural gift for designing beautiful and unique jewelry that brings out the beauty of precious stones. Today the name Caratera is synonymous with fine women's jewelry. Quality Caratera Fine Jewelry is crafted from the most rare and exquisite, hand picked, natural gemstones and high grade sterling silver. Design Caratera Fine Jewelry is a unique mix of classic and contemporary designs that can be worn with any outfit and at any occasion.Caratera designer jewelry makes an exceptional gift for any occasion, be it a birthday, christmas, valentines or anniversary. Caratera's designs catch the eye, attention and admiration of everyone that appreciates natural gemstones set in beautifully crafted jewelry. Gemstone Rarity A precious gift from mother nature. Caratera's gemstones are natural and are mined from some of the most exotic places on earth. It takes nature millions of years and the most unique condition to create them. For this reason each gem is as unique as the person wearing it. Add an element of exquisite vintage style to your look with this beautifully designed pendant necklace. 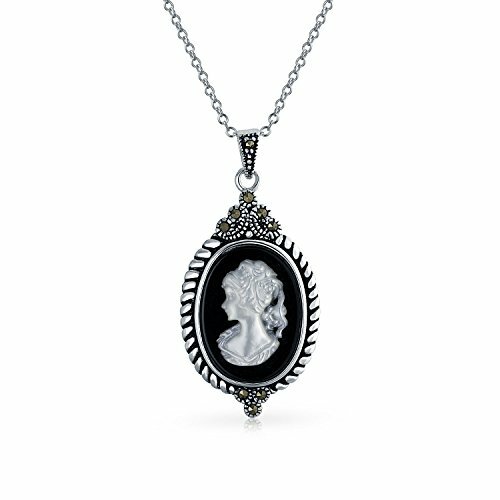 A glowing, mother of pearl vintage cameo is stunningly enhanced by a background of striking natural, black agate with marcasite accents at top and bottom, finished in oxidized .925 silver, dangling from a lustrous cable chain. Showcase your unique style with this beautiful gemstone halo necklace. 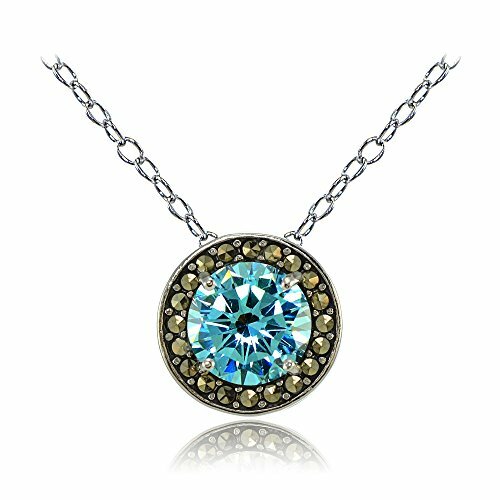 The necklace features a round aqua cubic zirconia gemstone pendant bordered by smaller marcasite gemstones. The necklace is crafted of fine sterling silver and includes an 18 inch rolo chain. 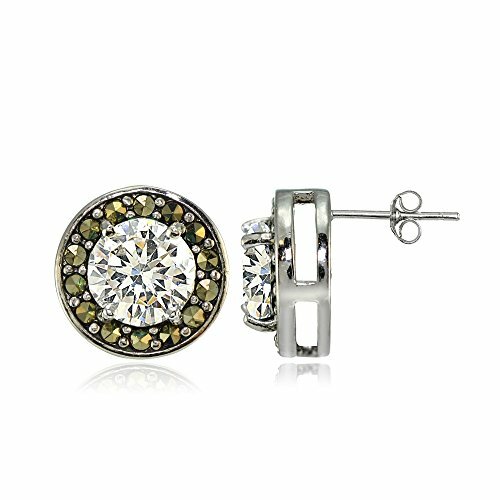 Showcase your unique style with these beautifu halo stud earrings. 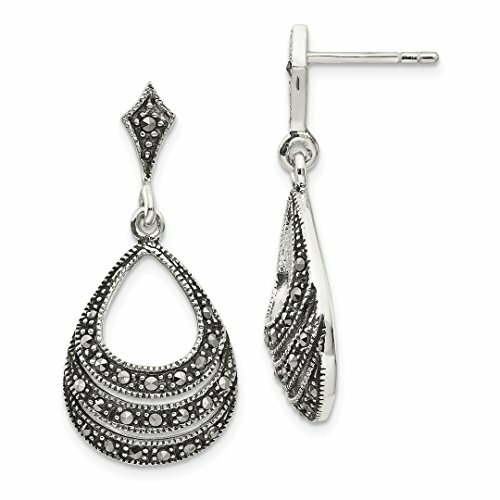 These earrings feature a round cubic zirconia gemstone bordered by smaller marcasite gemstones. The earrings are crafted of fine sterling silver and secured by post with friction backs. 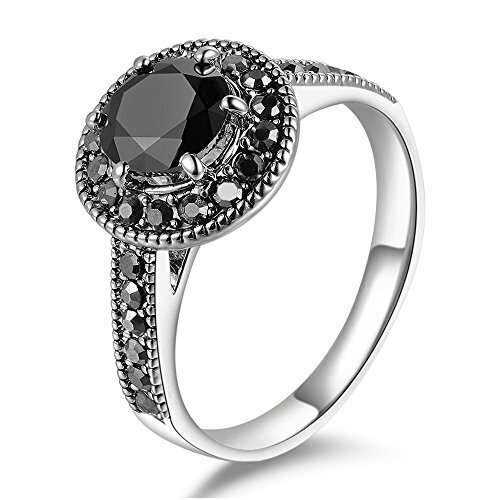 Looking for more Round Marcasite Set similar ideas? Try to explore these searches: 250 Gb Auto Backup, Interchangeable Eyebrow Pack, and Montana Bicone Swarovski Crystal Beads. Look at latest related video about Round Marcasite Set. Shopwizion.com is the smartest way for online shopping: compare prices of leading online shops for best deals around the web. Don't miss TOP Round Marcasite Set deals, updated daily.